The packaging is in the form of a cube and certainly gives the appearance that they hold a quality product, you know that packaging that you actually don’t want to damage as you open it up. Upon opening the cube the headphones are p[roundly displayed set into a protective foam, the accessories are stored in the lid of the cube in a small slimline box whereby you pull out a tray of earbuds and the attachable clip. The left/right earbuds unfortunately indicated through the use of red (right) and blue (left rings around their body that actually comp-liments the red and blue twisted cable visibly under the clear protective covering of the main cabling. The cable looks great and feels neither plastic nor too rubbery. Although not promoted as a tangle free cable I have not had those infuriating issues over the week. The metal build of these makes for a great quality feel and the jack and earphone casing has a pronounced knurling effect that helps with gripping the jack and would reduce potential scratches on the earphones, making them look better for longer. The memory foam earbuds are fantastic, certainly are my choice of earbud choice, reducing that annoying fall-out that you often have with earbuds. The audio quality is amazing and rating the Apple earbuds at an average 5/10 I would give the YSM1000’s 9/10. The quality puts to shame all other earbuds I have owned with the buds having an amazing loud and rich sound than the earpods. I have noticed a little bleed over from each headphone to the other side, the left channel plays ever-so-slightly in the right channel and vice-versa but this is only noticeable if you have a the incorrect headphone in and the opposite channel plays (utilised https://youtu.be/M05w0gIDQVM and the iOS app ‘Headphone Check by Citrus Apps’), I tested on an iPhone 6 plus, a Dell PC and an Acer PC. But this was barely audible and less than the B850i’s recently reviewed (The fact the B850i’s had a mic may attribute to slightly more bleed-over). These are my definite choice of headphones, in fact I think that any future purchases would be these with the microphone (currently at time of post £25 with free delivery from www.betrononline.com ). Its worth noting that they also come with a two year warranty as well. Betron has provided me with this product for purposes of providing a personal review. The packaging is appropriate and offers an external view of the headphones and variety of earbuds (Identical to the b850i’s hate those sealed packs you have to be a safe cracker to get into!). The left/right earbuds unfortunately not clearly indicated, a hard to see molded L or R on the protective sleeve as the cable comes away from the headphones. The cable looks great and feels neither plastic nor too rubbery and the storage pouch which is a good size, neither to small or big, minimises tangles. Although not promoted as a tangle free cable I have not had those infuriating issues over the week. 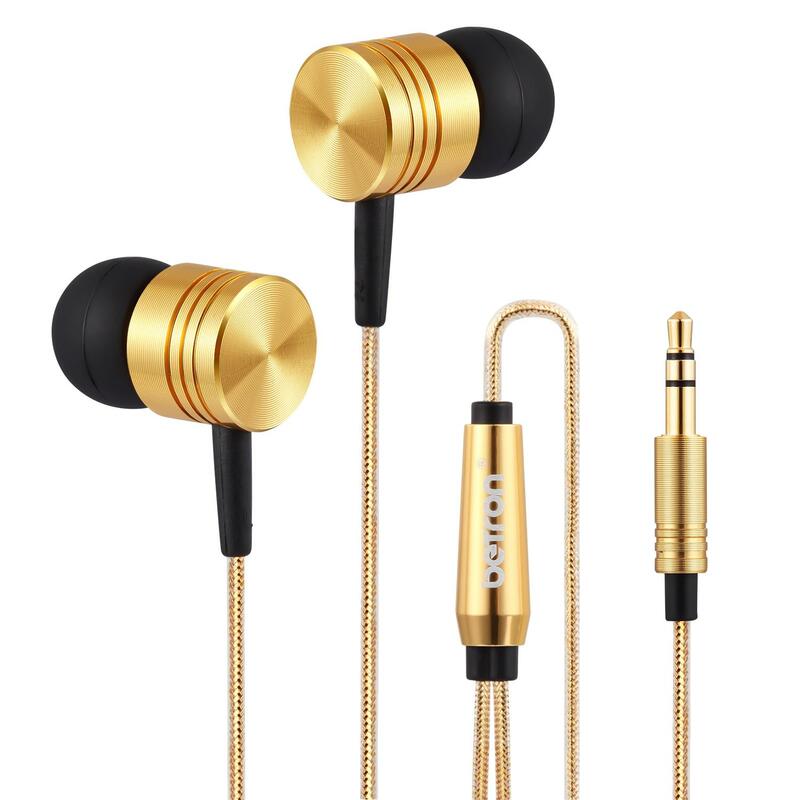 The metal build of these makes for a great quality feel and the jack and earphone casing has a slight knurling effect that helps with gripping the jack and would reduce potential scratches on the earphones, making them look better for longer. The memory foam earbuds are fantastic, certainly are my choice of earbud choice, reducing that annoying fall-out that you often have with earbuds. As with the B850i’s the audio quality is great for budget headphones and rating the Apple earbuds at an average 5/10 I would give the B850i’s 7/10. With the buds having a louder and richer sound than the earpods. I have noticed a little bleed over from each headphone to the other side, the left channel plays ever-so-slightly in the right channel and vice-versa but this is only noticeable if you have a the incorrect headphone in and the opposite channel plays (utilised https://youtu.be/M05w0gIDQVM and the iOS app ‘Headphone Check by Citrus Apps’), I tested on an iPhone 6 plus, a Dell PC and an Acer PC. But this was barely audible and less than the B850i’s (The fact the B850i’s had a mic may attribute to slightly more bleed-over). 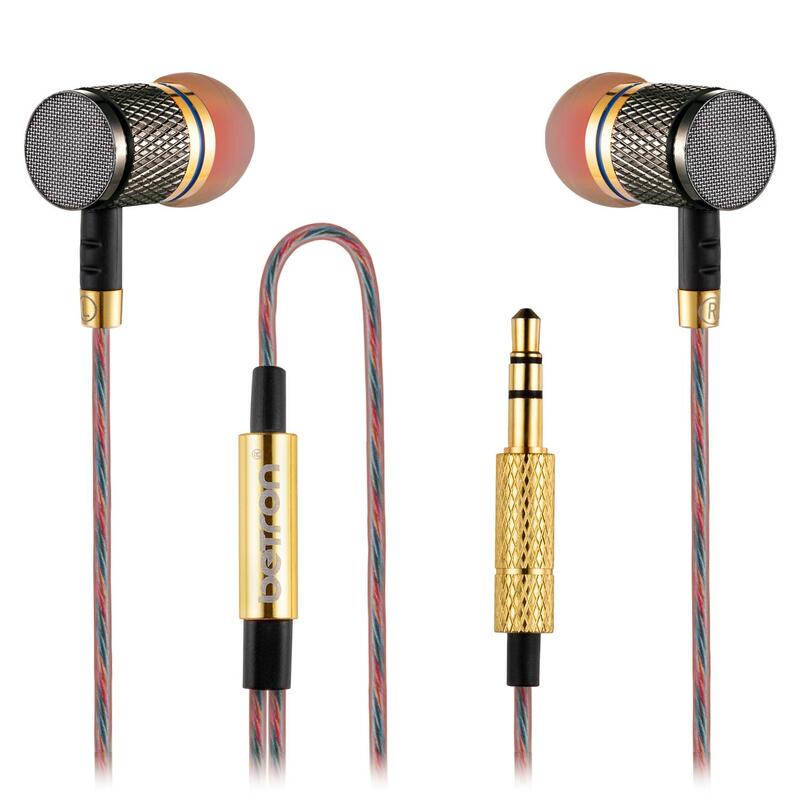 Although technically no difference between them I would purchase the metal B650s model over the plastic B850i, unless I required a mic, which the B650s does not seem to offer. I go through iPhone headphones within a year, it’s always the ‘Y’ connector that seems to go, I take the precaution of keeping it alltogether with a little heatshrink tubing. It looks awful, but does give me another 3-4 months before Siri seems to be initiated for no reason at all. So the hunt for a decent pair of headphones begins. 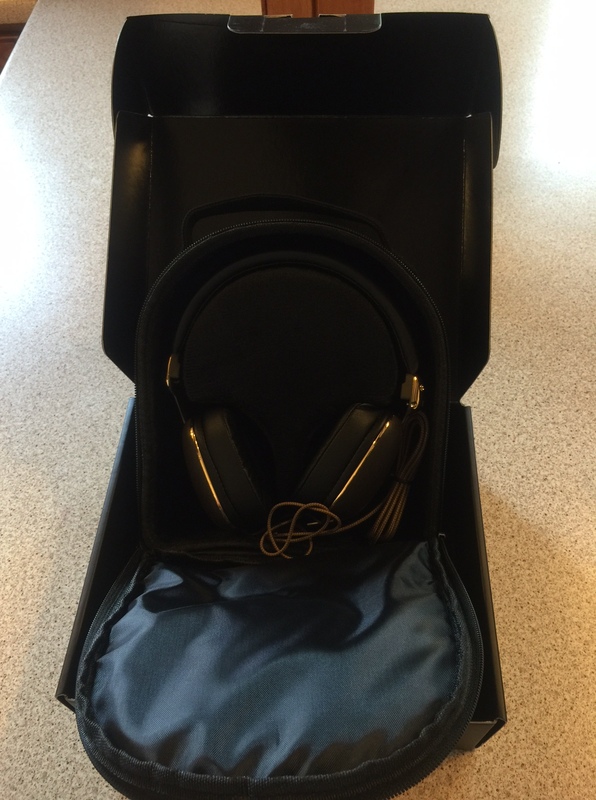 The packaging is appropriate and offers an external view of the headphones and variety of earbuds (I hate those sealed packs you have to be a safe cracker to get into!). The left/right earbuds are clearly indicated on each earphone in white print. The cable feels neither plastic nor too rubbery and certainly drop out to tangle free once removed from the storage pouch which is a good size, neither to small or big. The memory foam earbuds are fantastic, certainly are my choice of earbud choice, reducing that annoying fall-out that you often have with earbuds. The audio quality is great for budget headphones, I ordered mine directly from Betron UK for £15 taking two days to arrive, and I would say that if I rated the Apple earbuds at an average 5/10 I would give the B850i’s 7/10. 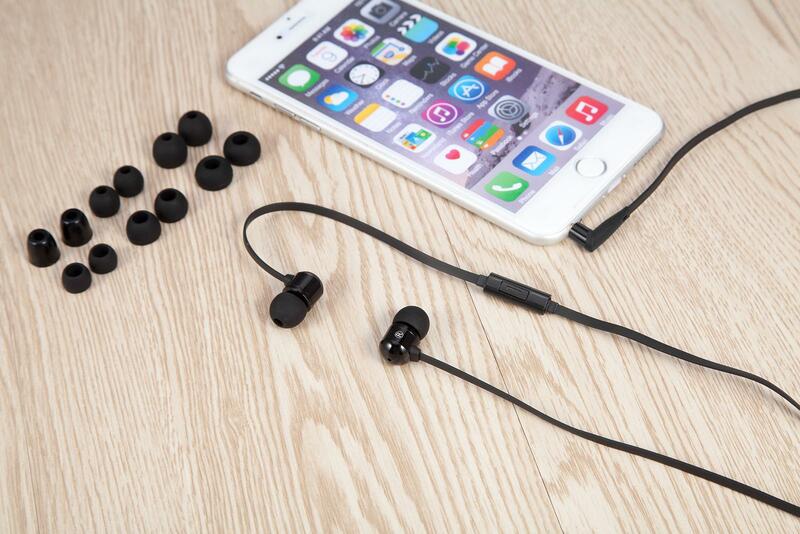 With the buds having a louder and richer sound than the earpods. I have noticed a little bleed over from each headphone to the other side, the left channel plays ever-so-slightly in the right channel and vice-versa but this is only noticeable if you have a the incorrect headphone in and the opposite channel plays (utilised https://youtu.be/M05w0gIDQVM and the iOS app ‘Headphone Check by Citrus Apps’), I tested on an iPhone 6 plus, a Dell PC and an Acer PC. The headphones are great, mind you I’m not an audio expert, but they sound excellent, they are certainly comfy and won’t break the bank when you can pick certain designs up for around £30 (RRP £50). I was surprised that they come with a detachable cable that includes an in-line mic/controller, whilst this is great from my iPhone it can play a little havoc with some systems such as my PC or Blue Yeti whereby I have to just retract the plug ever so slightly to hear the audio fully. Certainly a worthy investment for the podcasts.